Hi and welcome. I made this card on the weekend and only now getting a minute to blog it! Story of my life lately! Anyways, I made this using the colors from Color Throwdown, but that challenge has ended :( I also used the sketch from CAS(E) This Sketch, the Anything Goes theme featuring Newton's Nook at Simon Says Stamp, and the CAS theme at Addicted to Stamps and More. 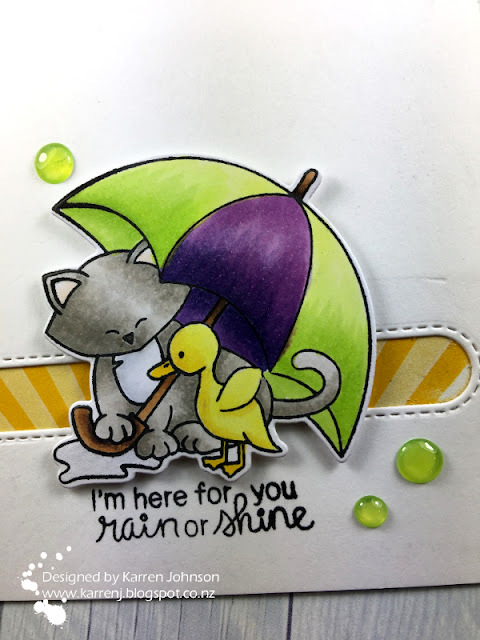 I stamped this adorable image onto X-Press It cardstock and colored it with Copics in the CTD colors. After die-cutting it with the co-ordinating die, I set it aside and got to work on my card base. To bring in the horizontal element, I die-cut an oval from the card base and adhered some patterned paper to resemble sun's rays behind the cut-out. I stamped the sentiment then adhered the image using foam tape. To finish the card, I added some Nuvo Jewel Drops. Love your take on the sketch Karren! Oh too cute! I love these sweet little images - gorgeous card Karren! Perfect take on the sketch Karren - what a sweet image and love the touch of enamel dots! These little darlings are perfect, and oh so sweet for the Sketch this week, Karren! thanks for playing cards with us at CTS! 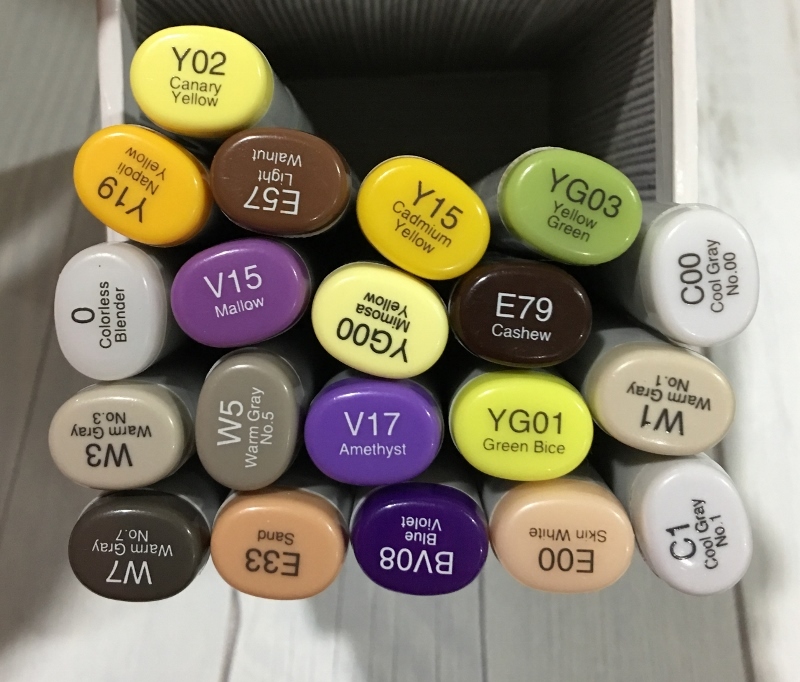 Beautiful Copic coloring on these darling images, Karren! I love how you added the sunshine peeking through word window...it's the perfect horizontal element for your card! You did an amazing job creating your enamel dots with Jewel Drops, too...really sweet card! What a darling and beautifully colored image, Karren. 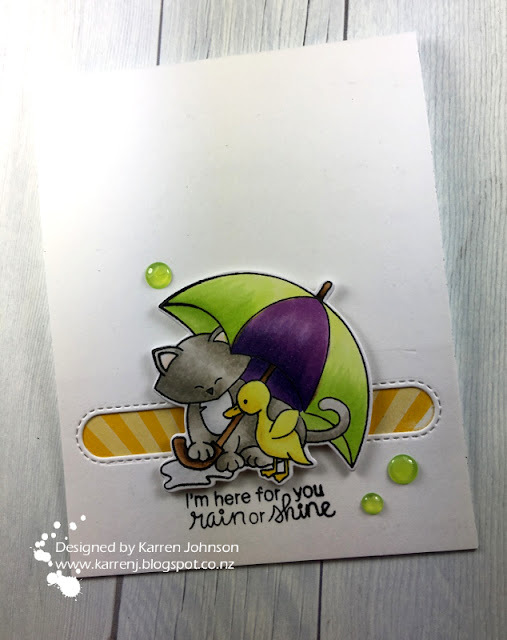 This is such a cute card and I'm glad you shared it with us at Addicted to Stamps and More. Cutest card ever, Karren! I'm totally in love with those sweet little guys! What a sweet scene of friendship you've created and how clever your creation of the sun with the horizonal stripe! Smile-making! Thrilled you shared this gem in the Addicted to Stamps and More gallery! So sweet. I love the horizontal die cut with the paper in behind, very effective. This is so sweet! I love the colors you used and the fun stripes behind the kitty! What a great card to brigthen someone's day! Love this!!! What a great use of one of my favorite Newtons!